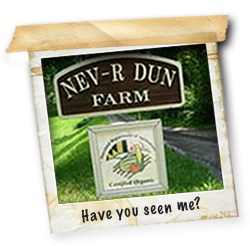 It is strawberry harvest time at Nev-R-Dun Farm. 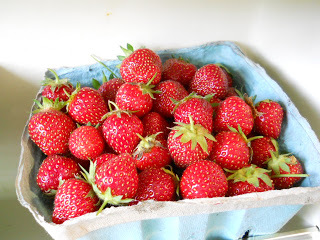 After years of “fiddling” with this delectable crop, I can safely say that we are actually “harvesting” strawberries, and certified organic at that! What? 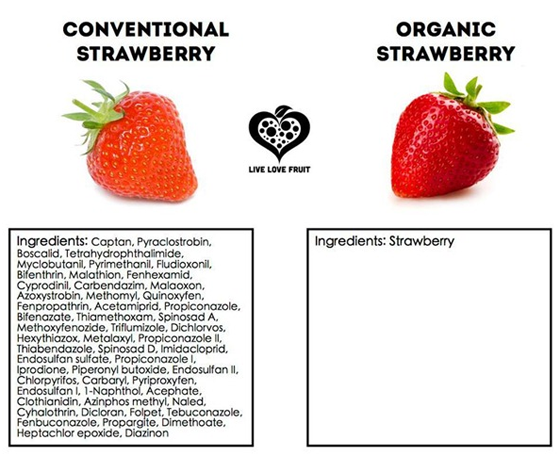 Certified organic strawberries? Is that possible? …Of course it is, but it is not as easy as one may suspect… or even told it is… but I digress. Nonetheless, here are some pictures of the harvest. 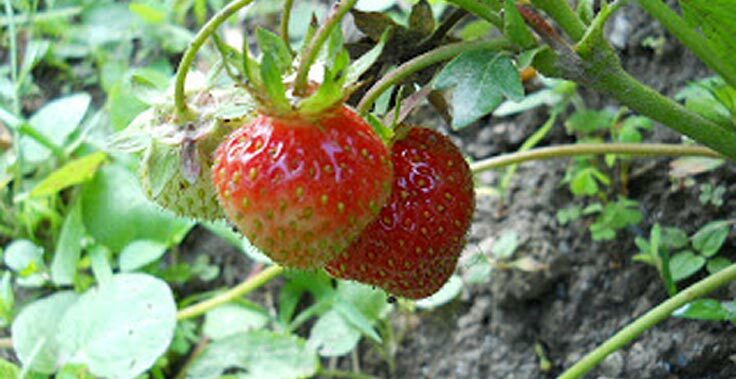 The closest strawberry is obviously not ripe, but the one hiding just behind it is!